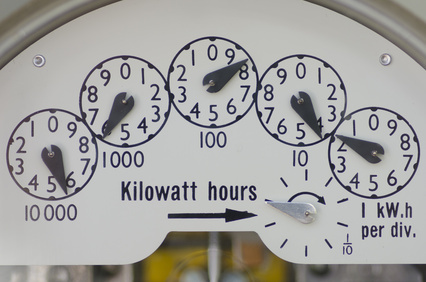 When the bills are piling up, many people save the utility bills for last figuring it will take months before the electric or gas is actually shut off. Suddenly, a shut off notice arrives and now you come up with months of payments or the house goes dark and cold. You were already considering bankruptcy, but now you really have no other option but to file or get free bankruptcy help. But, how does that affect your outstanding utility bills? Once you file for bankruptcy, any shut-offs are delayed for 20 days. In essence, the utility company is issued a stay. While you are given close to three weeks, this “stay” is not in place forever. You will need to prove that you are able to pay future bills in order to keep the utilities on once this period expires. In order to present adequate assurance to the utility company, you may be asked to put up a cash deposit, prepay a month’s service, provide a letter of credit, or some other type of assurance as deemed appropriate by the utility. Without this assurance, they may have the right to shut off your utilities (this will often depend upon the laws in your specific city, county, or state). In addition to filing for bankruptcy, you may be able to qualify for some local or federal programs that will provide financial aid for your utilities. These programs offer some type of credit each month for your bill. The government credit is used for all charges up to that amount and then you are responsible for any charges over that amount. These programs may be a better option for you if you do not want to file for bankruptcy. However, if you had planned on filing, now you may be required to file for an emergency bankruptcy to ensure the utilities receive the information in time to prevent a shut down. If this is the case, you should contact a bankruptcy attorney immediately to start the process. Getting a notice that your utilities are being shut off can be very unsettling, but you do have options. Having said that, you need to move quickly to ensure the lights and heat or air conditioning stay on. Moving forward, you should definitely research what assistance programs are available in your area as you may be able to quality for some type of financial relief concerning your utility bills to prevent this from happening again in the future. Curious whether bankruptcy is right for you? Fill out a free?Bankruptcy Evaluation.